Nunca vi essas fábricas de Jazz Bass garantirem que um modelo terá somente duas peças. Fender mesmo, você acha com 2 ou 3 peças normalmente. Sempre foi assim e não influencia em nada. ^ Como você sempre afirma que não influencia em nada se você mesmo diz que sempre foi assim, ou seja, nunca tocou num baixo dessas fábricas com peça única? Moshe Bar Elohim escreveu: Como você sempre afirma que não influencia em nada se você mesmo diz que sempre foi assim, ou seja, nunca tocou num baixo dessas fábricas com peça única? Boa pergunta. Na verdade é tudo teoria. Ninguém sabe ao certo, mas já toquei em inúmeros Fenders de 2 ou 3 peças e não ouvi ou senti diferença alguma. Pra mim a madeira do corpo tem pouca influência sobre o timbre de um instrumento. allexcosta escreveu: Pra mim a madeira do corpo tem pouca influência sobre o timbre de um instrumento. ^ Rapaz isto é assunto de muitas controvérsias e polêmicas infindas entre os músicos e luthiers. É a mesma coisas do café e do ovo. Todo ano os cientistas afirmam que faz mal. E todo ano seguinte afirmam que faz bem. Inda bem que o "pra mim" está bem destacado. A impressão que tenho é de que "parte" da vibração das cordas incide sobre a madeira, que vibra e causa alguma variação na vibração das cordas que mexe um pouco com o som. Mas acho que é algo bem sutil... Fico pensando se um aumento na pressão das cordas sobre o nut e a ponte reduziria o "vazamento" de vibração e, consequentemente, a influência da madeira no som. Pô, lindão esse SX "Ultra" do link do jorge cafe. Engraçado que esse baixo nem aparece na página que lista todos os modelos. ferabreu escreveu: Pô, lindão esse SX "Ultra" do link do jorge cafe. Engraçado que esse baixo nem aparece na página que lista todos os modelos. Se a Rondo não tiver em estoque não aparece no site. Se você tentar comprar não consegue. Quando chegar o próximo carregamento volta ao site. Ferabreu este modelo saiu no segundo semestre de 2011, ja namoro ele algum tempo, veja no site que esta ai em cima do luthier buzzardsbass ele direciona para a pagina da Rondo,melhor ainda assina uma newsletter da Rondo, bicho, a desvalorizaçao do real nao tem deixado os preços interessantes para importaçao, que e claro vamos sentir os ajustes dos revendedores aqui no Brasil tambem, e questao de tempo, a Pride envia uma tabela mensalmente para os lojistas com ajustes ou nao. Eu tinha um baixo da antigo da Epiphone by Gibson - Accu Bass - que era de compensado. Na internet está cheio de gente reclamando que baixos e guitarras de compensado não prestam por isto, por aquilo, etc. O baixo era velho, de compensado, com emendas e tinha um som que deu de pau num precision da Fender do carinha cujo qual eu vendi para ele. Já tive vários baixos também não notei muita diferença no som, exceto o Squier Precision Standard de agathis que agora tenho. A captação sim influencia em muito no timbre de um instrumento, agora a madeira e quantidade de emendas também tenho lá minhas dúvidas. Tudo também é relativo ao ouvido, set e sensibilidade de cada um. Obs. : Os luthiers que estão vendo este tópico aberto pelo Ferabreu devem estar assim agora. Tem mais uma coisinha, nos dias atuais onde tudo tem que ser ecologicamente correto acho que baixos com mais emendas surgirão. Quem sabe um ralaçãozinha assim: antigamente -baixos com 2 emendas e alguns com 3; hoje - baixos com 3 emendas e alguns com várias; - amanhã - baixos todos retalhados com inúmeras emendas e depois todos serão feitos de aglomerado. Que o digam quem assistiu O Lorax. Ok, influência da madeira no timbre é um tema deveras interessante. Vou copiar um texto escrito pelo luthier Bruce Johnson, membro do Talkbass, onde ele dá uma luz sobre o tema. O texto está em Inglês. Chambering the body plays an important part in getting the rich mid-range of the Ampeg-style sound. An Ampeg body is weakened substantially by the F-holes and the undercutting inside the F-holes. This allows the body to flex more under the loads of the vibrating strings. The design of the Ampeg body wasn't just for looks. When I designed my new-generation versions of the Scroll Basses, I took the idea even further by adding internal chambering to the body, in addition to the undercut F-holes. The whole center section of the body between the F-holes, and from the neck pocket to the bridge, plays an important part in the overall tone of the bass. In the early days (1998-1999), I built about 12 experimental Scroll Bass bodies using different woods and different arrangements of internal chambering. I tested them all against each other and the results were interesting. I ended up using western ash (not "swamp" ash) with extensive internal chambering. The more chambering I added, the richer the upper mid-range tone got, to the point where structural failure became a worry. Over the years, I've kept using what I learned about the chambering on all of my successive Scroll Bass models, and other basses too. My little SSB's also have similar chambering. There's a lot of misunderstanding about what chambering does in the body of an electric bass. They're not "acoustic chambers" and really have nothing to do with acoustics. If you cut chambers, and then cut ports to the outside, you may get some small amount of acoustic sound out of them. But that's a side effect, not their main purpose. A better term for them would be Structural Weakening Holes. That's what they really do. Cutting chambers into the body, whether internal or external, weakens the structure of the body. When you pluck the strings, a weaker body will flex more with every cycle of the string. This brings in the damping properties of the wood. Think of how a shock absorber on a car works. As you push or pull on it, there's a drag applied to that motion. That's what damping is, and wood has the same internal property. As you bend it, the wood has an internal drag that varies over the frequency range. This internal drag is what creates rich overtones, the sound of wood, rather than the sound of metal. Different woods have different damping properties over different frequencies. But, and this is important, the damping effect is directly related to the amount of motion. If you replaced the spring in your car's suspension with a solid steel bar, the shock absorber wouldn't do anything, because it can't move. Likewise, the stiffer the body of an electric bass is, the less damping effect there will be. And that's the real purpose of the chambering: to reduce the stiffness of the body, so that it will flex more, which will allow the damping properties of the wood to create more of the rich overtones. I always like to think of an electric bass as an archery bow: a shaped wooden structure with a tight string tied from end to end. 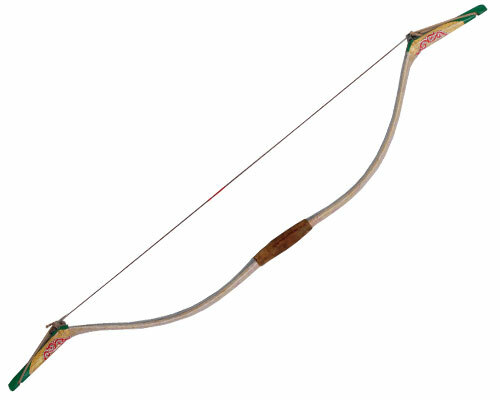 The upper 2/3 of the bow is the neck, and the lower 1/3 is the body. What woods you use and how thick they are, on both the body and the neck, will determine how and how much the bow flexes when you pull the string. If you build the bow really stiff, then it can barely move, and the string has to do most of the stretching. On a really stiff bass, the flexing is mostly being done by the string. That's the cold, metallic, pinging sound of the steel. As you weaken the bass's structure, it takes on more of the flexing and damping, which changes how the string vibrates, and brings in more of the rich overtone sound of the wood. There are tradeoffs all around. Rich warm tone vs sustain and frequency range; the stiffness of the neck vs the stiffness of the body, etc. There are many different approaches and combinations that we luthiers use to shape the tone on the strings of a bass. And this is all before you even get to the pickups. Obviously, this is a huge subject, and I could write many pages about it. This is just a quick summary to help explain what chambering in the body does. And, of course, Structural Weakening Holes would be an excellent name for a band. Post by Marko: "I guess the same strength weakening is present when we make bodies out of different woods. Some woods are stronger, some weaker and that makes the difference in sound. Correct?" Absolutely. Different woods have different mechanical strengths, stiffnesses, and damping properties. If you make the body out of a stiff wood, like maple, it will flex less and you'll get more of the cold metallic string sound. A body out of a soft wood, like mahogany or swamp ash, will flex more and create more of the warm rich sound. But, this is assuming that everything else is equal dimensionally! The choice of wood alone does not determine the overall sound. You have to also consider how the structure is sized and built. For example, you can build a body out of swamp ash, but leave it thick and solid, and it can be very stiff overall, and sound quite bright. Or you can make a maple body that's thin, with big F-holes and internal chambering, and it will be very flexible and have a warm tone. You can make a swamp ash body that's brighter than a maple body, if you work with the structural design. The point is that you can't automatically assume what the tone will be like, just from the choice of wood. It gets even crazier when you get into laminated bodies, using a center strip with side wings, or a center core with a top and back. Gluing a fairly thin hard wood top onto a thick softer core will dramatically stiffen it overall. Gluing a thin soft wood top onto a stiff core won't make much difference at all. There are all kinds of combinations and ways to arrange the structure to get different results in the way it flexes. And again, how it flexes is what creates the tone. The goal isn't to build a bass to be as stiff as possible. If you carve a block of granite into the shape of a bass and string it up, the sound will be clear twangy metal strings, like tapping two steel rods together. Most people don't like that sound. It's the flexing of the wood structure of the bass that brings in the background harmonics and overtones and noise, which makes the steel strings sound like a human voice singing. That's what brings an instrument "alive" and makes it enjoyable to listen to. Like a violin. It's a very complicated subject, and I hopes this helps you understand why a simple question can get you so many opposing answers. ^ Tomara que o tradutor do Google ajude um pouco: Ctrl+c / Ctrl+v. ^ Ficou um pouco estranho. Principalmente chambering. Como será que seria o som de um baixo completamente vazado? Bahh...li só uns dois parágrafos no final do texto. Acho que é mais ou menos o que eu penso...há um tipo de "mecanismo de retroalimentação" - as cordas vibram, parte dessa vibração escapa para a madeira, que vibra, e parte disso volta para as cordas, "colorindo" (ô bichice) o som. Creio que o importante é que o corpo seja em madeira - uma madeira boa, que não se desmanche e tenho um peso adequado. Um problema no texto do cara é querer comparar contrabaixo elétrico com violino (acústico). Moshe Bar Elohim escreveu: ^ Tomara que o tradutor do Google ajude um pouco: Ctrl+c / Ctrl+v. ISSO é outra coisa: ajustes na captação. Acho perfeitamente possível fazer um baixo vazado, ou de materiais que não a madeira (ou de granito, como o cara do Talkbass propôs, rs...), se o som captado passar por algum preamplificador que "mexa" com o sinal e o transforme num som legal. Não tenho propriedade para falar de diferença de timbragem de acordo com a madeira usada, mas a única coisa que já senti é que em baixos com o corpo de compensado a impressão que dá é que o corpo absorve a vibração das cordas deixando o timbre parece que meio xôxo e sem sustain, acredito eu, ser pelo fato do compensado ter uma consistência meio mole, absorvendo as vibrações, agora nas outras madeiras mais apropriadas para instrumentos musicais não saberia identificar as diferenças na sonoridade. Captadores só captam alterações no campo magnético que é o que acontece quando a corda vibra. Se diferentes madeiras provocarem diferentes padrões de vibrações das cordas, é aí que existe a diferença de timbre. Exato, os XL são feitos em peça única de grafite. edumoraes escreveu: Não tenho propriedade para falar de diferença de timbragem de acordo com a madeira usada, mas a única coisa que já senti é que em baixos com o corpo de compensado a impressão que dá é que o corpo absorve a vibração das cordas deixando o timbre parece que meio xôxo e sem sustain, acredito eu, ser pelo fato do compensado ter uma consistência meio mole, absorvendo as vibrações, agora nas outras madeiras mais apropriadas para instrumentos musicais não saberia identificar as diferenças na sonoridade. Não senti esta diferença, que eu me lembre. Também acho que os captadores só captam as vibrações das cordas. Tem baixos que eles sequer encostam na madeira do corpo, ficam suspensos pelos parafusos que os prendem. Como neste caso captariam as vibrações do corpo ora pois? Mas não descarto uma possível teoria hipotética e relação corpo/captação/ e porque não quantidade de peças do corpo também. Não sei como funciona mas as pontes Badass, nuts de marfim/latão/plástico, braço em escala clara de marfim/maple, modificam a sonoridade de alguma forma. Há vários tópicos sobre isto aqui no fórum. No Cifra Club as pessoas se chingam, se ofendem, matam umas às outras e tal para defender que a madeira influencia sim na sonoridade. Ainda bem que aqui ninguém faz isto. Tem luthiers e técnicos de sobra para esclarecer nossas dúvidas. Acho que no consenso no que diz respeito a arte da luthieria seus profissionais no geral defendem que influencia sim, e muito. É como disse antes, essa é uma questão antiga e perdurará por longos anos se de fato um corpo com muitos retalhos e sua madeixa X ou Y muda a sonoridade. Está aí uma teoria bem interessante. Como uma determinada madeira pode provocar diferentes padrões de vibrações das cordas e por conseqüência diversificar o timbre? Moshe Bar Elohim escreveu: Está aí uma teoria bem interessante. Você leu o texto do Bruce? ^ Sim mas foi pelo tradutor do Google. Não entendi nada para ser sincero. Não sei se esse Bruce é um especialista ou não. O que pude entender é que ele fez umas experiências com corpos. Nada ficou claro pra mim. Desculpe mas o texto não me foi elucidativo. I'm sorry. Imagine que a madeira é bem flexível, você puxa a corda e solta. A madeira vai vibrar junto com a corda e absorver parte da vibração dessa. A corda vibrará menos e terá um som menos agudo. Agora imagine o arco feito uma madeira como laranjeira ou angelim, que são duras como pedra. A corda dissipará toda sua vibração nela mesma, isso resultará em um timbre mais agudo, mais metálico. Moshe Bar Elohim escreveu: Tem baixos que eles sequer encostam na madeira do corpo, ficam suspensos pelos parafusos que os prendem. Como neste caso captariam as vibrações do corpo ora pois? Sem contar que ainda possuem uma espécie de espuma ou borracha em baixo que força na regulagem o captador pra cima, esse material isola mais ainda as vibrações, o lance está na resposta que a madeira dá nas vibrações das cordas mesmo, a impressão que tenho, (olha lá, estou especulando, é opinião própria) é que qto mais "dura" a madeira mais brilho ou agudo o timbre fica e conforme vai usando madeiras mais "moles" (diferenças de densidades talvez, não sei se chama assim) o timbre vai ficando mais encorpado e ganhando graves, madeiras com "densidades" equilibradas talvez sejam as que tenham um timbre mais equilibrado tbm, mas aí tbm tem inúmeros outros fatores que influenciam no timbre de um baixo como um todo, como as madeiras usadas no braço, qualidade dos trastes, medidas, firmeza na fixação braço-corpo, sei lá, é minha teoria talvez furada, baseada em minhas sensações, senti uma diferença bem gritante de sonoridade (pra pior) num baixo com corpo de compensado, mas pode ser que não fosse só o corpo o grande vilão dessa má impressão que tive, pode ser que o conjunto todo do baixo que toquei fosse ruim. Mesmo porque acredito sim que as diferentes madeiras usadas no corpo podem modificar o timbre, mas acho também que não é o fator principal, digamos assim, é só um tempero no timbre. Alguns defendem que não é a densidade, mas a dureza da madeira que tem uma influência maior. Pra bagunçar mais ainda, tem a questão do instrumento vibrando contra o nosso corpo enquanto a gente toca. Isso pode dar uma ilusão auditiva, já que outros sentidos estão sendo estimulados além da audição. Às vezes a gente grava dois baixos que considera bem diferentes e quando vai ouvir o timbre é bem similar. ^ Poxa, valeu heim Allex. Só você mesmo para conseguir sintetizar aquele texto enorme em uma figura e três parágrafos. Eu trabalho com manutenção e montagem de computadores e não adianta montar um computador com um ótimo processador e usar uma placamãe vagabunda e com memória + ou -, tem que ter um conjunto coeso pra tudo funcionar da melhor forma possível. Fazendo uma analogia ao contrabaixo acredito no mesmo, não adianta fazer um corpo com uma ótima madeira e usar captadores fraquinhos, o braço ser de uma madeira ruim, etc. e vice versa, acho q o conjunto tem que ser bem casado e é por isso que muitos baixos de bons Luthiers são bem superiores pois tudo é escolhido a dedo, com carinho, pra se obter o melhor resultado possível. ^ A questão é: "o que faz uma madeira ser considerada ruim?" É ser comum ou barata? ...Pra bagunçar mais ainda, tem a questão do instrumento vibrando contra o nosso corpo enquanto a gente toca. Vixi, pensando nisso veio a idéia aqui que uma barriguinha recheada de banha mais mole em contato com o corpo do baixo vai deixar o timbre do baixo mais grave e uma barriguinha sarada e dura vai deixar mais agudo. allexcosta escreveu: ^ A questão é: "o que faz uma madeira ser considerada ruim?" Pra ser sincero nas madeiras de verdade nunca achei nenhuma "ruim", a não ser pela questão de peso, em relação à timbres pra mim as diferenças devem ser muito pequenas pq nem tenho propriedade pra identificar exatamente, e essas diferenças podem agradar uns e desagradar outros, o que não torna uma melhor ou pior que a outra, são gostos pessoais de cada um, eu só considerei o compensado que toquei "ruim" pq mesmo com cordas novas o som me pareceu opaco e sem sustain, mas era um baixinho tão sem vergonha de vagabundo como um todo que nem dá pra por a culpa toda no compensado, hehe. edumoraes escreveu: Vixi, pensando nisso veio a idéia aqui que uma barriguinha recheada de banha mais mole em contato com o corpo do baixo vai deixar o timbre do baixo mais grave e uma barriguinha sarada e dura vai deixar mais agudo. Fender Custom Shop Duo Tone. Bom, no teste da prateleira ficou bem claro que faz sim diferença. Pior ou melhor é subjetivo. E o próprio texto deixa isso claro também. A questão está mais para o quantum, pois talvez a densidade da peça possa ser mais relevante que o tipo de madeira usada, e os dois itens juntos podem influenciar menos que a madeira usada no braço, por exemplo. É isso que o autor do texto mostra, que certas técnicas construtivas tem maior capacidade de alterar o som do que os materiais usados no corpo. Meus conceitos de acústicas já estão meio enferrujados, mas vamos ver se consigo explicar porque penso fazer diferença os materiais usados e porque concordo com a questão das câmaras alterarem significativamente o som como o texto afirma. Imaginemos a corda E amarrada entre duas paredes, de forma a não haver nenhum tipo de interferência em sua vibração. A vibração gerada ao tocá-la e consequentemente a curva de frequências que gerará será uma. Ao se prender a corda em sistema como o instrumento elétrico, a tendência é que o sistema vibre em conjunto com a corda (ressonância). Aí que entra a questão dos materiais e técnicas usadas. -essas câmaras de ressonância, além da flexibilidade estrutural que cria conforme descrita no texto - que permite o sistema vibrar mais, irá também atenuar certas frequências e aumentar outras por conta da mudança de meio (madeira - ar - madeira) e pela reflexão de certas frequências na própria câmara criada, como em uma sala de concerto miniatura. - isso tudo resulta numa vibração que se misturará com a original, vinda das cordas. As diferenças de fase aliadas à estas distorções causadas pelos materiais e, no caso, as câmaras, quando somadas à vibração original da corda, gera o timbre do instrumento, pois a corda vibrará de forma bem diferente de quando fixada na parede. É essa vibração resultante que os captadores transformarão em sinais elétricos. A teoria do texto sobre flexibilidade explicaria, por exemplo, o porque da conhecida consistência nos sons dos Musicman e outros instrumentos de série e da quase exclusividade sonora que se pode conseguir ao fazer um instrumento com luthier: uso de um mesmo tipo de material, construção maciça e mesma forma diminuiria a influência do material no som (inclusive as individuais, como veios, variações de densidade, etc. ), ao passo que o segundo pode ser feito com ajustes finos em materiais e técnicas de construção para adequação ao desejo do cliente. Agora, se a diferença é tão significativa assim é outra história. Mas que ela existe, existe. Opa, rs... depois de muito fuçar achei, acho que o pessoal vai ficar até perdido agora rs... mas ae vai a foto, uma com escudo, e outra sem. Emendas discretas, parabéns, e o headstock é de qual tipo? subgrave escreveu: Emendas discretas, parabéns, e o headstock é de qual tipo? allexcosta escreveu: ^ Bonitaço esse Ash. Alex, me falaram Swamp Ash, eu achei até que fosse, pois é bem mais leve do que outro SX, que tive, segue foto do outro, então seria Ash esse tb? Valew. heeeeee, achei que era diferente rs... conheço pouco sobre madeira, Obrigado. Nossa! esse é aquele q vc pagou 4nãnã !? lindo de mais! Zotelli escreveu: Nossa! esse é aquele q vc pagou 4nãnã !? lindo de mais! Valew Claudio, esse seu ai, tb está lindão ... o meu é o de cima, com 3 peças. Tinha knoks cromados aqui tbm...rs .... quer uma dica de amigo mesmo!..poem uns cabrera custom 60! cara além de não ter ruidos com um sistema que eles inventaram, a qualidade é absurda! ...mas ficou lindão mesmo! o seu tem 2 emendas!? pq o meu só veio com uma? pra compensar a diferença da madeira? e vem ASH USA..a China importa madeira americana!? Falando nisso, tenho um SX mais antigo, comprei em 2004. Agora q resolvi dar um up nele pq uma das tarraxas começou a apresentar folga. A princípio, ia apenas trocar a tarraxa, mas já comprei um par de Cabrera Vintage, to procurando tarraxas (to atrás da Wilkinson, bem recomendada aqui no fórum), pensando em arrumar um escudo "perolado" e também em trocar a ponte. Como a grana anda curta, considero a ponte um "problema menor". Mas vcs me recomendariam alguma ponte onde o custo benefício valha o investimento?!? A propósito, alguém sabe onde consigo encontrar um escudo perolado? Até achei um no ML... Mas será q a furação é compatível com o SX ou teria q esburacar meu baixo todo?!? Putz, tava olhando um tópico e postei no outro! Estava me referindo às novas tarraxas redondas dos SX. Desculpa, galera... Ainda to me familiarizando com o fórum! sobre o escudo, coloquei uma da dolphi sanduíche e ficou certinha mas não sei se existe perolada..mas nem todas são 100%, mas da dolphi pode colocar sem precisar mudar. Ponte eu aconselho gotoh ou wilkinson e preferencia com o friso para o carrinho..Badass II é boa, mas cara, e a 3 tem q fazer modificações! Sobre tarraxa, li aqui no fórum que as Wilkinson são grandes demais para o SX... Isso procede? Sabe me dizer alguma outra marca q poderia usar? Zotelli escreveu: ... poem uns cabrera custom 60! cara além de não ter ruidos com um sistema que eles inventaram, a qualidade é absurda! ...mas ficou lindão mesmo! o seu tem 2 emendas!? pq o meu só veio com uma? pra compensar a diferença da madeira? e vem ASH USA..a China importa madeira americana!? Isso 3 peças, 2 emendas, com relação aos cabreras eu vou pensar ja ouvi bons comentários, mas preciso esperar um pouco pra melhorar os caps rs... agora se a madeira que a china usa vem do USA, ai eu ja não sei ... deixo pros experientes responder rs... heheh vc viu ele sem o escudo ? ta bonitão né... lembrei do escudo acrilico, mas não rola não... tem que limpar toda hora hahaha ... melhor sem valew.